A comprehensive site assessment is a critical step that you want to complete before the design process of any project. Without it, you are not taking full advantage of the site you’ve chosen for your project. Not to be confused with an Environmental Site Assessment (Phase I ESA), which mostly looks at risks associated with the site, a pre-design site assessment primarily looks at the assets of your site so that you can maximize the effectiveness of your design—programmatic and monetary. Early adopter pricing for SITES expires next Tuesday, May 31—take advantage of this offer and register your project today! Any project that registers between now and May 31 will save $1,500 on paid registration and registration/certification bundle fees. For USGBC and ASLA members, that means that registration will only be $1,000! Engage with us in Northern California and learn more about the Sustainable SITES Initiative (SITES). Attend a lecture on the SITES Rating System hosted by the American Society of Landscape Architects (ASLA) on either May 23 or May 25. As GBCI continues to bring SITES to new markets and potential users around the world, we are overwhelmed by the excitement about the program. All across the country and in far corners of the globe, leaders in sustainability and landscape design are weighing how to include SITES in new and future projects. Already, projects in New York, Los Angeles, Vancouver, Hong Kong and various other locations have registered for SITES. Washington, D.C.—(April 13, 2016)—The U.S. General Services Administration (GSA) announced it has adopted the SITES rating system for its capital construction program. 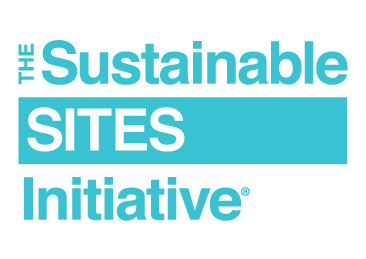 Owned and managed by Green Business Certification, Inc. (GBCI), SITES is the most comprehensive program for sustainable land development and management and is used by landscape architects, engineers, architects, developers and policymakers to align land development with innovative sustainable design.